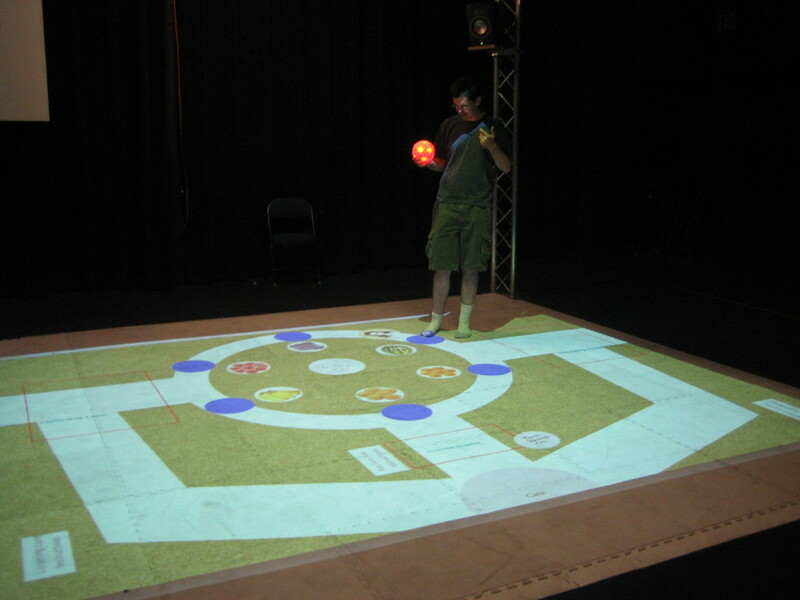 This is an immersive language experience that used SMALLab at Arizona State University. 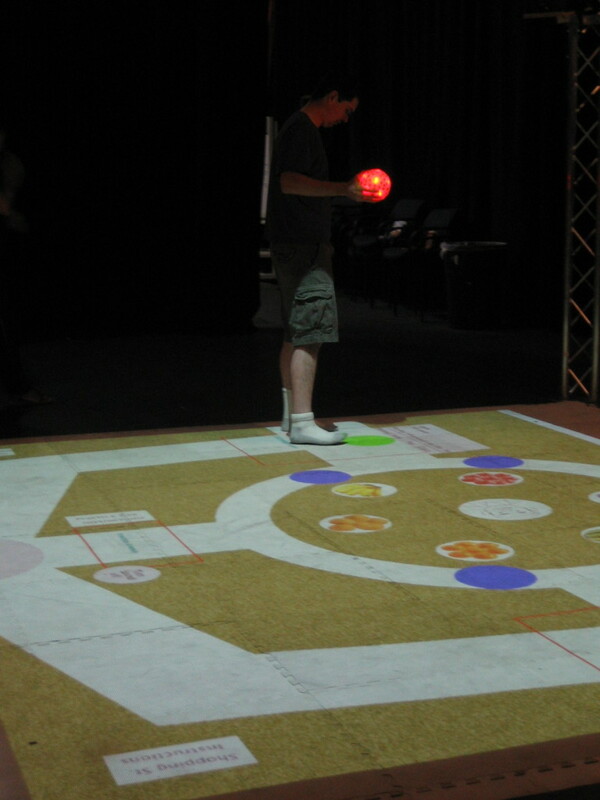 SMALLab has a projection system that projects on the ground and a tracking system that allows developers to track a light source in real-time. 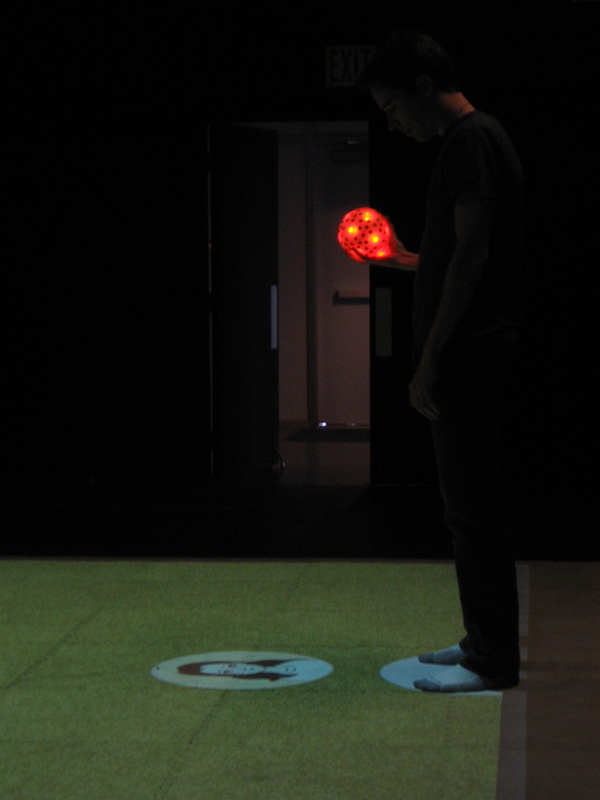 Learners were tasked with obtaining fruit for Pari, a ghostly character who followed the learner on the floor. Learners had to learn 10 Korean words/phrases (Hello, Please, Thank You, I’d like a . . ., apple, banana, grape, orange, pear, watermelon). Learners were directed to go to specific locations on the floor and make requests of the “vendor.” We used a Wizard-of-Oz technique to evaluate the learner’s pronunciation, which is a fancy way of saying that we had a native Korean speaker decide whether the pronunciation was acceptable and press a button for the system to provide feedback or direct the learner to the next task. After sufficient practice, there was an “underworld” level that functioned as a quiz. I programmed the interactions and built the engine in Java. 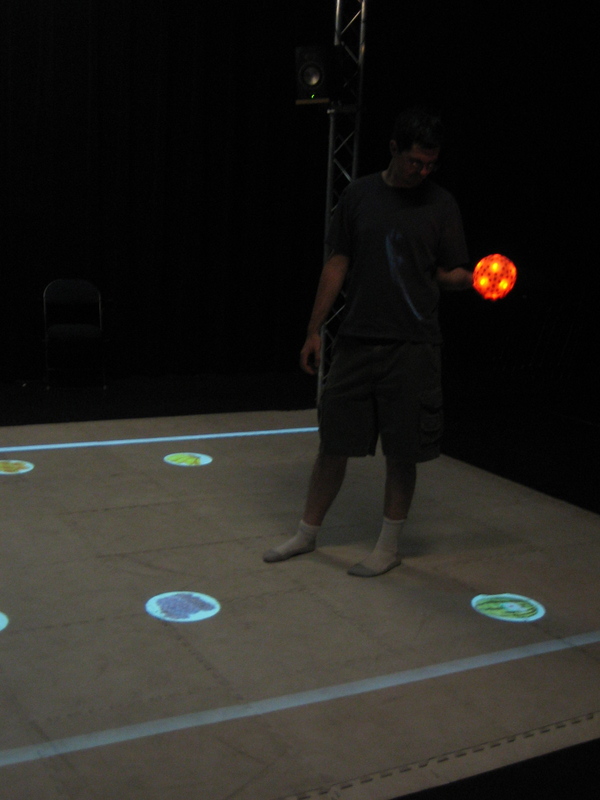 The player meets Pari and receives her first request. The player get a watermelon for Pari. The player goes to a part of the map that triggers help. The quiz level where players are asked to identify the correct object after hearing the phrase “I’d like a [fruit]” in Korean.